In a race which was destined for Ferrari to win especially for Sebastian Vettel racing in his home track, a place which is just a few kilometres from where he grew up turned into a disaster. When Vettel emerged as the pole sitter of the race, a tired Lewis Hamilton who had a horrible qualifying looked like he needed to pull a rabbit out of his hat of tricks to get a good position. 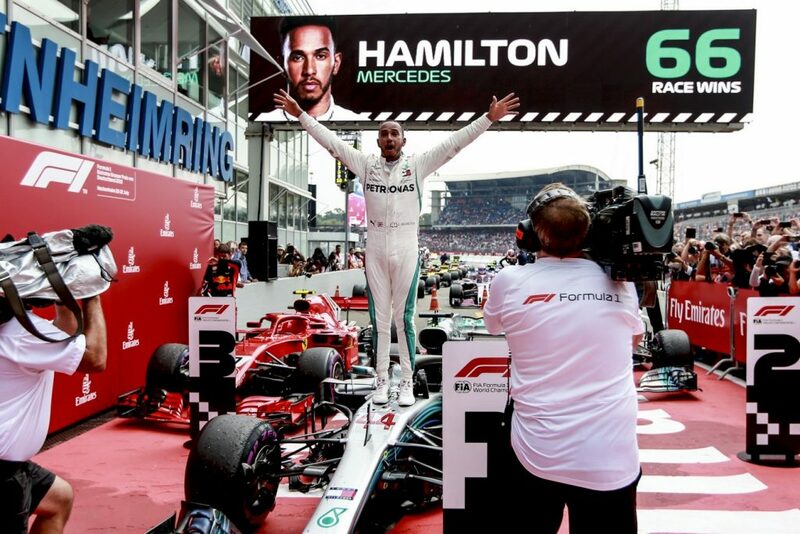 Lo and behold, the British racer did just that, a miracle of sorts to start from 14th place and end up as the winner of the 2018 German Grand Prix. The race started as one would expect, Vettel was ahead of Bottas, Raikkonen and Verstappen as they cleared turn 1. In fact, everyone was rather polite with the whole pack clearing turn after turn with no incident. This allowed Lewis Hamilton to slowly climb up the pack as Vettel tries to hold Bottas off. Ferrari then decided to do a bit of a strategic play by switching the tyres of their cars from ultra-soft to soft tyres and even with the pits, Raikkonen emerged from the pits just ahead of Hamilton who have already climbed up the ranks. Due to Raikkonen having fresher tyres and catching up ahead to Vettel, Ferrari instructed Vettel to give way to the Finn. 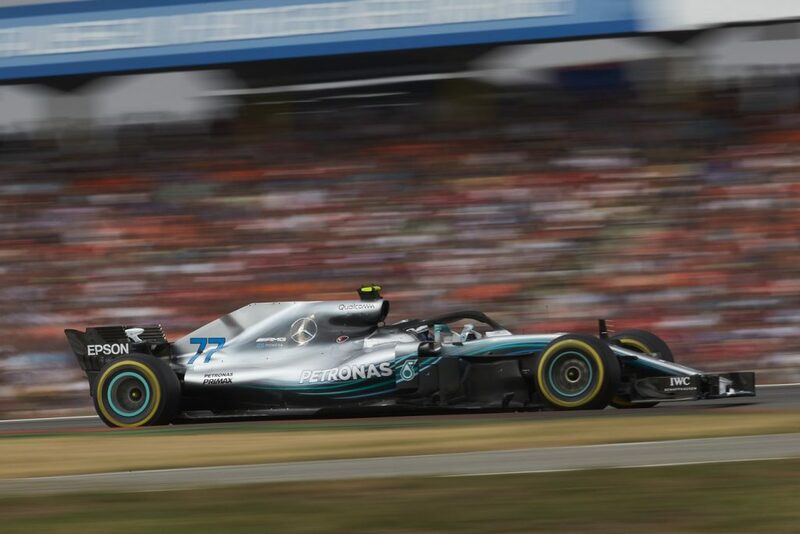 It was at this time when Mercedes decided to finally pit Hamilton and giving him the fastest ultrasoft tyres, a play in order to get him to catch up to the leaders. Just as Hamilton swapped tyres, rain started to pour which led to several teams anticipating a wet track hence swapping out their tyres for intermediates. Thanks to the slight rain, it caused the track to be slippery which then led to Vettel understeering and crashing his car. It was one of the rare moments in which where Vettel was leading and crashed out. This allowed Hamilton to take over the lead and take home the German Grand Prix win.